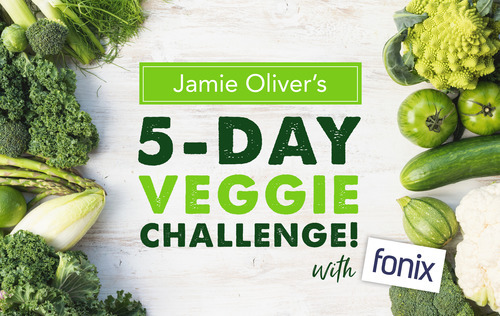 Fonix, the tech company for acquiring, engaging and monetising consumers through their mobile phones, has been selected by Jamie Oliver to power the billing and messaging service for Jamie Oliver’s 5-day Veggie Challenge. The challenge starts today and challengers simply sign up and pay £2, which is charged to the mobile phone bill, without needing to enter credit card details. During the challenge, an email will be sent every morning containing the day’s meat-free meals, along with extra tips and videos for a super-tasty day. Plus, via Fonix’s messaging platform, Jamie will be in touch throughout the week to share even more veggie inspiration. This press release was distributed by ResponseSource Press Release Wire on behalf of Fonix in the following categories: Health, Consumer Technology, Food & Drink, for more information visit https://pressreleasewire.responsesource.com/about.